Choosing your patio furniture requires taking into account several aspects, starting from the shape of the furniture, the material it is made from, its color and more. 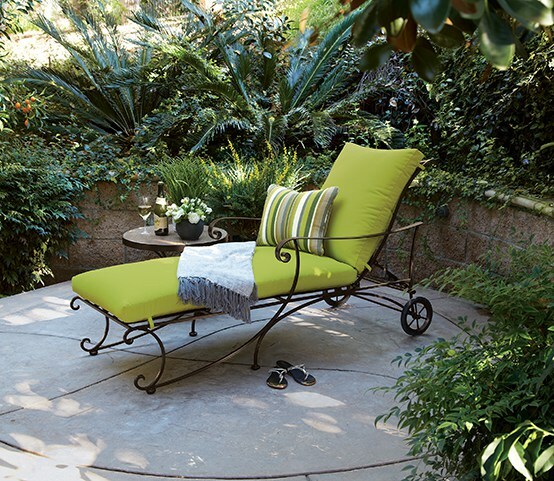 How should the color of the patio furniture be chosen? When choosing the color for your outdoor furniture you should consider important factors such as your own preferences, the way the furniture matches other exterior elements, the land you place it on (grass, pavement, or perhaps a wooden terrace). Do you have lawn in your garden or wood planks on the porch and consider matching the furniture with them? Then choose natural colors like graphite or cappuccino. On the other hand, if you are going to put the furniture on a stone patio, you should rather use dark brown or anthracite shades. When you choose the colors for your outdoor furniture, it is always a good idea to avoid strident colors and opt for natural and rather neutral shades. Thanks to this, the furniture will not lose its charm and will match any outdoor remodeling projects you might do in the future. Remember that classic elegance and colors can be revived by adding fashionable accessories. Bright red, neon green and deep blue can become great accents in the form of pillows, carpets, towels, garden lights, candles or even table sets. You’ll want to look at luxury outdoor patio furniture Denver stores to find the color and look that best suits your budget and design style.